This Lightweight Multi Tool is 1.0kg without the battery and 2.4kg with, creating a perfectly balanced tool when used with any of the attachments. 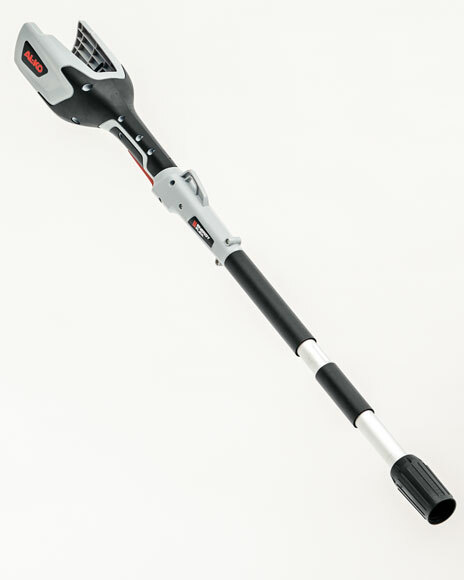 Thanks to the shaft tube extension, the battery Multi Tool can be extended by 70cm quickly and easily for use as a pole pruner or hedge trimmer. This means that when used as a pole pruner, it can reach working heights of up to 4 metres and when used as a hedge trimmer it has a reach of up to 3.5 metres. With Lawnmowers, trimmers, hedge trimmers, chainsaws, leaf blowers and the Multi Tool, the EnergyFlex series can all be operated using the same battery.